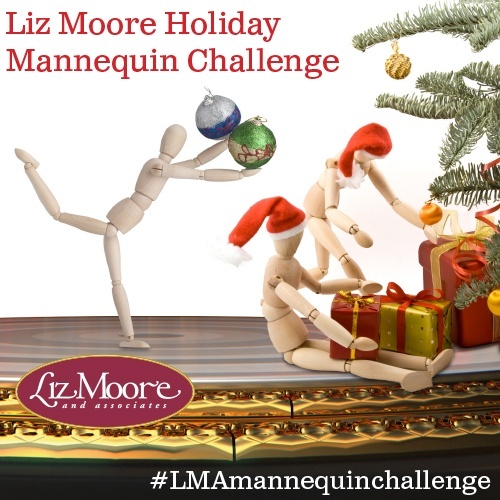 Enter the Liz Moore Holiday Mannequin Challenge...You Could Win Cash! Think you've got mannequin skills? Get ready for the Liz Moore Holiday Mannequin Challenge!! Video your best mannequin challenge with your friends and family trimming the tree, at your office Christmas party, ringing in the new year...wherever! Get creative! Send your videos to contest@lizmoore.com and you could win $100 in cash just in time to pay off that holiday debt! Stay tuned in the coming weeks for samples from our favorites, as well as the announcement of the grand prize winner. Spread the word!